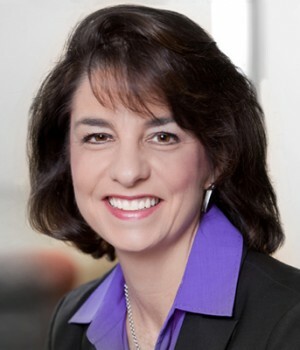 Julie Springer maintains a national trial practice, representing clients in all types of employment and business-related disputes in federal and state courts and regulatory agencies throughout Texas and the United States. Julie offers extensive litigation expertise in a broad range of matters, including lawsuits involving claims of discrimination, harassment and other traditional employment claims, both on an individual and class-wide basis; defense of national wage and hour collective and class actions under both federal and state law; and business disputes involving claims of breach of contract, breach of non-competition and non-solicitation agreements, and misappropriation of trade secret claims. In addition, Julie regularly counsels corporate and individual clients on all facets of the employer-employee relationship, including negotiating the various agreements that govern the employment relationship such as executive compensation agreements and separation agreements. Formerly a partner with the Austin firm of Scott, Douglass & McConnico, Julie has tried numerous jury and non-jury trials to verdict and is one of the few attorneys in the state who is Board Certified in both Labor & Employment Law and Civil Trial Law by the Texas Board of Legal Specialization. Successfully tried to jury verdict or obtained summary judgment on behalf of numerous clients, both large and small businesses, throughout Texas and the United States, in cases involving allegations of discrimination, harassment, FMLA violations, workers’ compensation retaliation, defamation, and other claims arising out of the employee/employer relationship. Successfully defended and pursued claims on behalf of companies and executives stemming from disputes over non-competition, non-solicitation, and non-disclosure agreements, as well as allegations of breach of fiduciary duty and misappropriation of trade secrets. Represented private university in Title IX litigation arising from the addition of a women’s sport. Represent and advise private universities in Texas regarding tenured faculty matters. Counsels, represents and advises numerous clients, in a wide range of industries, on matters before various federal and state agencies, such as the Department of Labor, Equal Employment Opportunity Commission, and the National Labor Relations Board. Routinely counsels executives and companies in negotiation of the various agreements that govern the employment relationship, including executive compensation packages, non-competition, non-solicitation and severance agreements.